It’s a quiet moment in the CKUA fundraiser pledge room. But suddenly, all the phones are lighting up. The bell is ringing non-stop. Volunteers are running around to keep up. What’s happening? It’s a Double Your Dollars (DYD) session! 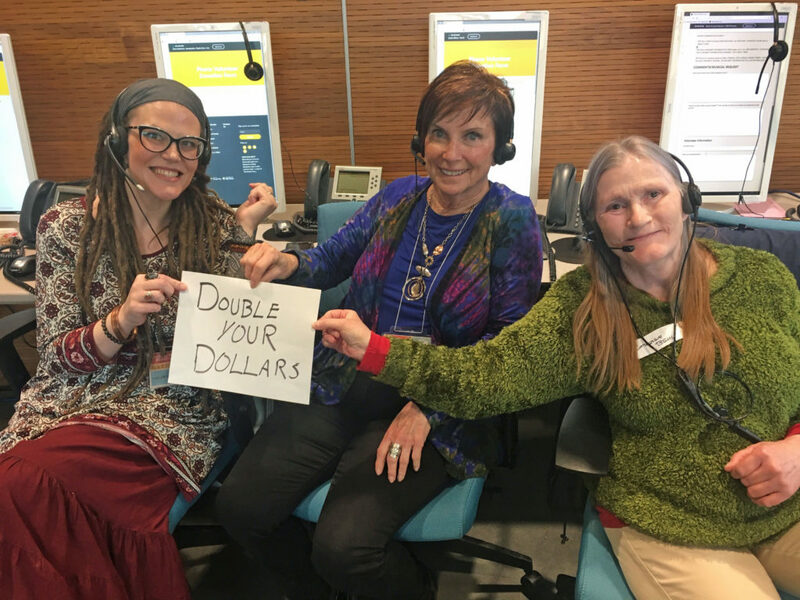 Anyone who calls in during DYD has the value of their donation matched, essentially doubling it. These moments always boost energy and excitement, sparking a flurry of donations. But how does it work? It works thanks to CKUA’s Leadership Donors. These generous supporters donate a minimum of $550 each (often it’s much more) before each campaign. These funds go into a pool used to match every donation during a DYD shift. One of those donors is Bert Montgomery. In 1997 he was often on the road for work and listened to CKUA all the time. He was shocked when the station unexpectedly went silent. When staff and supporters rallied and set up fundraisers, Bert was in. The fun part of being a leadership donor is receiving donated hours. Donors get to connect with their favourite CKUA hosts, make song requests and hear their name on-air. Bert has always put his donated hours towards Lionel Rault’s shows.